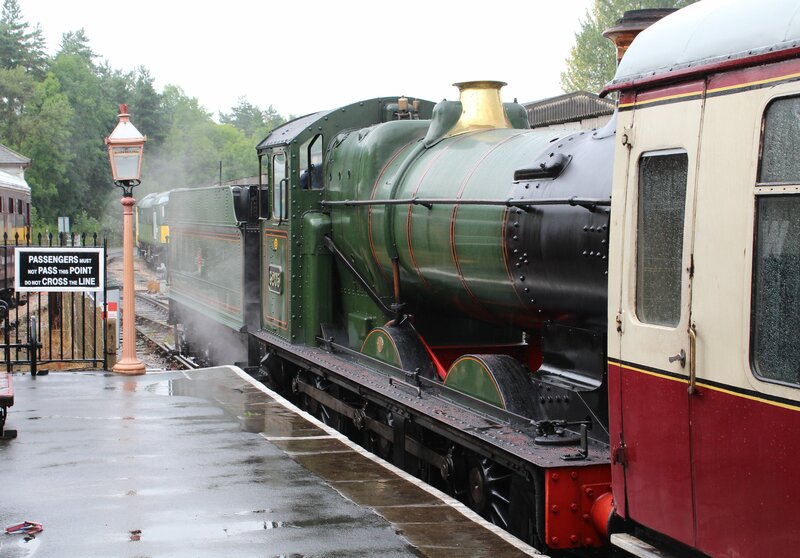 If you ask a railway enthusiast to name a great locomotive works, you could get many replies. Doncaster, Derby, Swindon, Crewe, Eastleigh, St Rollox, Darlington, Brighton… a list could on and on. But these days things are different, most of the former works have declined, disappeared or evolved into a new use. However, there are now new hubs in the heritage world. Who would have guessed where these new hubs would be back in the age of steam? 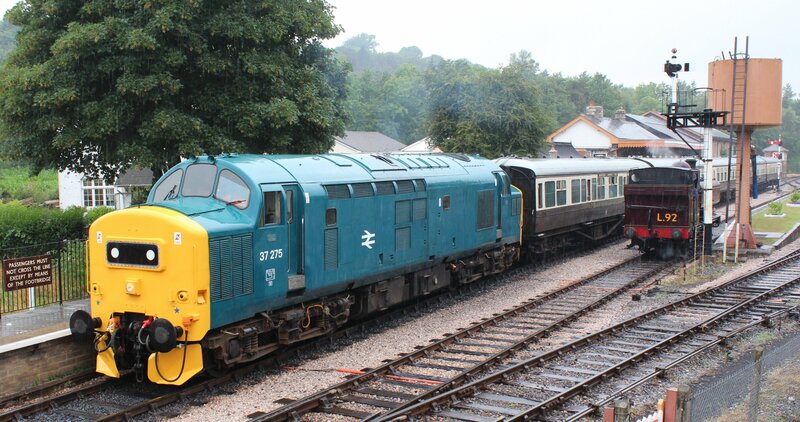 Buckfastleigh is one of those new places where a staggering amount goes on. 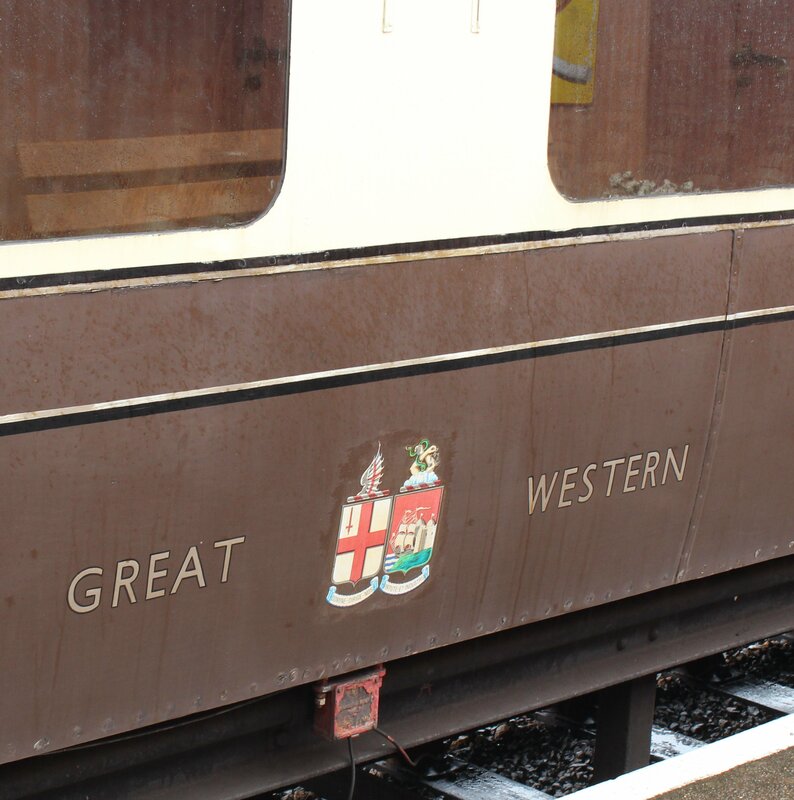 Many other heritage lines send parts to Buckfastleigh for repair due to the specialist nature of the work. As can be seen, the weather was less than ideal. Regular readers will know that my poor wife often gets dragged around with me on some visits and with the wet conditions, the promise of tea and cake were my only way to convince her to visit! Fortunately it turns out that the cake was simply exceptional in the Cafe! With one cream tea already consumed, I picked a cake cut into a reasonable if not huge slice. I was told by the member of staff serving me that it wasn’t nearly enough who cut a huge slice instead. I wasn’t complaining! So what else of the visit, I hear you ask. For me, a highlight was getting a good view of a London Transport liveried 57xx pannier tank in action (click here for more). Unlike the prairie tank seen a few weeks ago (click here), this was a genuine livery. It suits the locomotive well in my opinion! The other locomotive is the lovely (unique) Collett Goods class 3205, which was painted in attractive lined BR green colours. Also in action on the day was a class 37 locomotive (click here for more), which was an impressive sight on this branch line. 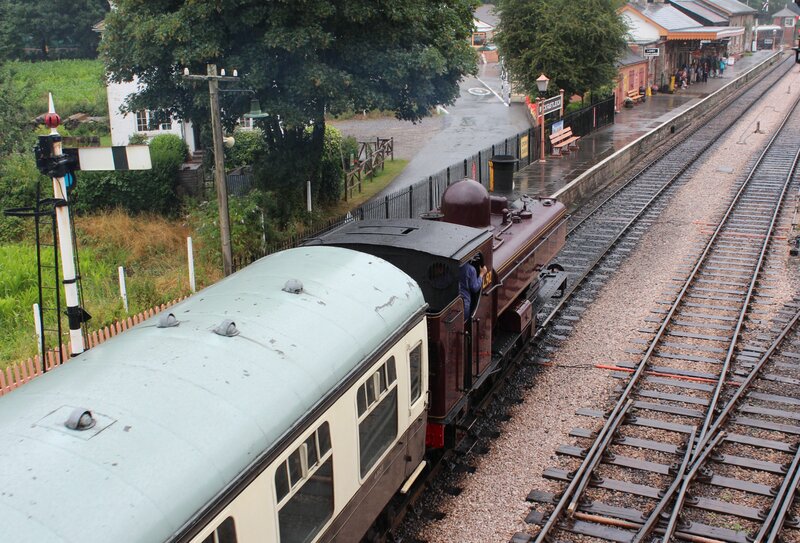 This locomotive was one of a number of diesels to be found around the site (click here for more). 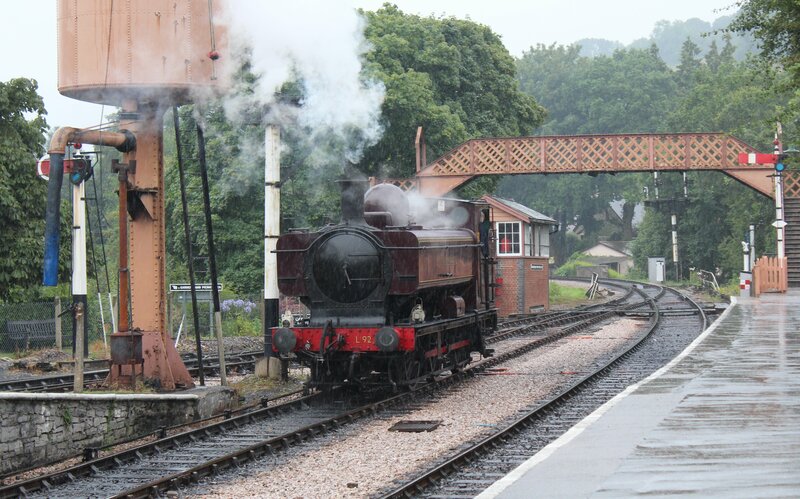 As usual, I’ll be going into more detail on some aspects of this visit in the future, but for now it’s suffice to highly recommend a visit to the South Devon Railway. It’s a surprisingly big gem of a line in Devon that shouldn’t be missed!